Setting up an International Business Company in the Seychelles is an intriguing option for all you tax nomads out there. This is definitely the most popular type of company in the country and it is also a pretty versatile vehicle if you want to conduct business. An IBC incorporated in the Seychelles is tax free and is structured in such a way that it can conduct any form of international business with very little record keeping and reporting requirements. An IBC also contains several features which maintain strict confidentiality throughout.An IBC registered in the Seychelles remains the most popular option and in several ways it is similar to the BV IBC which is considered as a benchmark for an offshore corporation. The Seychelles Business Act which was introduced in 1994 has seen the registration of more than 30,000 IBS with over 600 companies being registered each month.There are several advantages in registering an IBC in the Seychelles. The foremost of this is that no tax is paid on such a company. The IBC is not in any way subjected to taxes or duties on its income or its profits. Additionally if one is a shareholder in an IBC, you are not liable to pay and tax from the income which comes from that IBC. Chapter 109 from the Seychelles Business Act actually confirms this in writing.An International Business Company registered in the Seychelles is also exempted from paying any stamp duties with regard to any business transactions. These include the transfer of property owned by the company as well as all the shareholding, securities and other debts related to the IBC. An IBC registered here is tax free although it must comply with some basic rules. 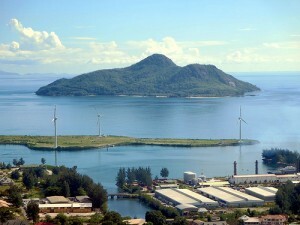 The offshore company cannot conduct business on the islands and the company can remain in operation for twenty years with these exemptions in force.So basically to qualify in the registering of an IBC in the Seychelles a company cannot do business onshore, not own property or real estate in the country and cannot bank or take out insurance without an appropriate license.On the other hand, a Seychelles registered IBC can hold bank accounts and deposits in a bank which is based in the Seychelles. Books and records of the company may also be kept here. The IBC can also have professional relationships with lawyers, accountants, investment advisors as well as management companies. Director’s meetings can also be held in the Seychelles. The company can also rent a property to use as an office or to keep its relevant business records. The company may also have shares, securities and other debts which may be registered on another IBC registered in the Seychelles as well as a resident company. It can also be the owner of a boat or aircraft and the shares in the company may also be held by a person who is residing in the Seychelles.One of the big bonuses of having an IBC registered in the Seychelles is the extraordinarily high level of secrecy which is afforded. This means that all details of the company such as its owners, directors and shareholders as well as their personal information are not part of the public record. Additionally when registering a company, the Registrar does not need information on the owners of the company. This information is the prerogative of the company’s Registered Agent and is completely confidential. All relevant documentation on a corporate level such as the Member’s Register, the Director’s Register as well as the board meeting minutes and resolutions are all kept at the Registered Agent’s office and these remain completely confidential.In fact the only documents which pertain to an IBC registered in the Seychelles and which can be made public are simply the Memorandum and Articles of Association. These documents hold no information whatsoever with regards to the ownership and shareholders of the company.Since the Seychelles Republic is independent and a republic, it does not report or share any sort of information with other organizations. The Seychelles is also not subject to the EU Savings Tax Directive which is a distinct advantage over other jurisdictions who subscribe to this tax. The country does not have any agreements with other countries to break its confidentiality since the financial services sector contributes substantially to the islands’ GDP and is looked upon as an economic engine. The government and public are committed to continue developing the country’s position as an offshore financial centre which is competitive.The Seychelles also includes a provision against confiscation which is extremely useful for any IBC registered there. This means that if there is unrest due to a political coup as well as other worst case scenarios such as nationalisation, imposition of taxes and/or confiscation of assets such as shares and property, the courts in the Seychelles are duty bound to uphold the rights of the company. With an extremely speedy incorporation rate of around one day, registering an IBC in the Seychelles will certainly not take you long!One of the most attractive issues regarding the incorporation of an IBC in the Seychelles is the extremely low registration fee. This is just USD 100 on incorporation and then is payable every year thereafter. This amount is a flat fee and is payable regardless of the IBC’s value which may be a small one with a few thousand dollars as paid up capital or a large one with many millions in shares. When compared to other jurisdictions this rate is extremely generous since most countries have a limit of around USD 50-100,000 as a maximum for a flat fee. In fact the British Virgin Islands is the only jurisdiction where a flat fee applies on any amount and this is USD 350 so it’s more than three times the fee payable in the Seychelles. You also do not need to have any paid up capital to register a company in the Seychelles adding to the substantial list of benefits in opening a company there.